Finding out where to purchase biodiesel is a learning process that may require you to do a little extra work to get your fuel. Unlike gas stations, there aren't biodiesel stations on nearly every street corner. If your biodiesel station is far away, then you may have to buy your fuel in bulk to help save on transport costs. If your station is close, you may be one of a lucky few. Either way, the first thing you need to do is figure out where to purchase biodiesel. There are a few different websites out there that provide you with listings of gas stations that carry biodiesel. These sites can also sometimes tell you what the average price per gallon of biodiesel is at the store. Websites like this are really the best way to figure out where biodiesel is sold around your area. Sequential Biofuels' website has a great map for people that live in the Oregon and Washington area. This website offers you very in-depth summary of each station including a map and a rundown of the fuels they offer. FindBiodiesel.org is another site that shows you local biodiesel retailers in your area. The site is very bare-bones and is based solely around their biodiesel retailer map. Biodiesel.org offers you both an interactive map and a printable form that tells you where the biodiesel retailers in your area are located. This website is connected to the National Biodiesel Board. These sites only show resources for the United States; however it is possible to find similar sites for countries all over the world. The United Kingdom has a very well-developed network of biodiesel suppliers. 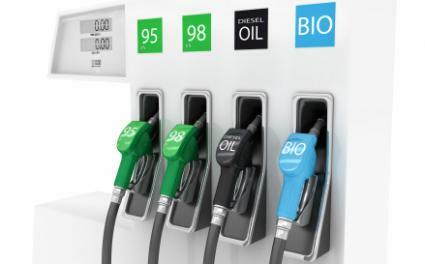 BioDiesel Filling Stations offers you a great listing of biodiesel suppliers around the United Kingdom. There are quite a few different places that manufacture small-scale biodiesel and are not listed on major websites. These are generally known as "energy cooperatives" and they can be found in nearly every state. The prices at cooperatives can sometimes be a little more expensive than at larger retailers. You can also check with local or state soybean groups that are involved with biodiesel production. These groups can offer you a wealth of resources to answer any questions you may have about finding, purchasing, or using biodiesel. The Iowa Soybean Association and the Ohio Soybean Council are particularly good examples that you can look into locally. You should check for any local cooperative groups like this for information on biodiesel in your area. Biodiesel comes in a number of mixtures. Understanding these mixtures is an important part of figuring out where to purchase biofuel. Some states require all diesel to have some mixture of biodiesel in it. You can find biodiesel blends up to 99% or complete biodiesel. The blend is noted by the shorthand "B-##", with the # sign signifying the percentage of biodiesel is in the mixture. For example, a B-99 mixture would contain 99% biodiesel and 1% conventional diesel. It's important to note that using any blend of biodiesel above 5% will void your warranty with some car companies, so you should check before you buy. Biodiesel is quickly becoming the way of the future. It is being seen by many as an essential step toward energy independence in many countries and is becoming competitive in price. The biggest hurdle is actually finding a station that deals in biodiesel. After you find this, making the switch to biodiesel is relatively easy.